Share a great HASS lesson or unit at our next PL event! 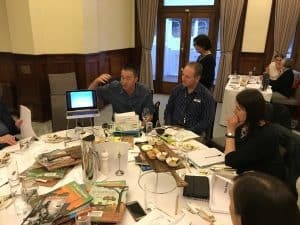 Do YOU have a favourite HASS lesson, unit, game or community learning connection? we want you at our next professional learning event at MoAD Thursday 4pm May 9 (week 2 term 2), including quality afternoon tea! EVERY teacher gets to leave loaded-up with a wide range of resources, inspiration from your colleagues and the chance to network over a quality afternoon tea at incredible MoAD! To propose the resource(s) you want to share, use the ‘Contact’ tab on this site, emailing the Secretary with key details asap.